Sat, Apr 20, 2019, 20:52:38 ---- The fact: 42.844.000 visitors done. Zwijndrecht, the Netherlands, 24 April 2008 2007 was another record year for the Van Leeuwen Pipe and Tube Group. Net profit increased by 24% to reach 49.7 million (2006: 40.3 million). Turnover grew by 21% to 748 million (2006: 619 million). Demand for our products and services was strong in all market segments. Furthermore, the prices for most product groups remained stable, showing overall an upward trend. Thanks to the professional and flexible organization, the business was able to respond well to favorable market conditions. The growth strategy of investing in employees, international network, logistics infrastructure and suppliers launched several years ago, was continued. The operating result for 2007 was 64.8 million (2006: 53.8 million). The tax burden came to 26% compared to 29% last year. The net interest expense increased by 1.0 million to 2.4 million. As a consequence, the result before tax rose by 10.0 million to 62.5 million. Operating working capital and inventories rose in 2007 because of an increase in activities. Solvency climbed to 45.9% (2006: 42.0%). This balance sheet position provides sufficient scope for financing further growth. One of the main factors behind the Van Leeuwen Pipe and Tube Groups growth in terms of volume was the strong demand from the energy sector. 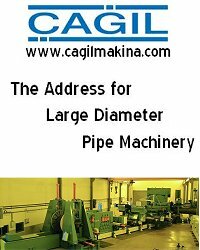 Flourishing activities in the area of oil exploration and production, and continuing investments in new construction and refurbishment of chemical and petrochemical installations and power plants kept the demand for pipes and tubes strong. This led to price increases, shortages and longer lead-times. By making use of the available know-how and thanks to its extensive experience in the areas of purchasing, project management and logistics, the Process Industry division was able to respond positively to its global customers demand for a reliable partner. In the first six months of the year, the construction market was characterized by a strong demand from end users. Growth subsequently flattened off, resulting in an increase of inventories. As a consequence of this, the price level of welded tubes in particular came under pressure in the last quarter. The Construction division was able to increasingly distinguish itself from its competitors, by successfully implementing their added value strategy. Growth was achieved in material treatments, such as laser and plasma cutting, regular cutting, and customer-dedicated inventory concepts. The demand for stainless steel products was strong, but was affected by the wide fluctuations in the price of nickel. After another record price was noted in May, the price of nickel was halved in December, which led to a drop in demand and an increase in inventories. Further expansion of the distribution network as well as the expansion of the product range, have further strengthened the market position of the Stainless division. The Precision division was able to strengthen its leading position in the European hydraulics and mechanical engineering segments further. With unique combinations of storage, quality control, treatments and just-in-time deliveries of products, the division was able to penetrate further into the automotive segment. In 2007 the Van Leeuwen Pipe and Tube Group continued to invest in growth by further developing its network of branches in existing and new regions, improving its logistics infrastructure and expanding its range of products and services. New branches were opened in Turkey (Istanbul), Ireland (Dublin), Indonesia (Jakarta), Canada (Toronto), and the United States (Houston). Also, the subsidiaries which were established in 2006 in the Czech Republic, Qatar, the United Arab Emirates and China were strengthened further. New warehouses were taken into operation in the Netherlands, England, France, Singapore and Australia. Investments were made in material treatment capacity and expansion of the testing and inspection facilities in a large number of existing warehouses. Custom-designed ERP and other planning systems were implemented at various subsidiaries in order to manage and control the extensive stock of materials together with the flow of goods as efficiently as possible. The shortage on the labor market and the hectic nature of the industry meant that the Van Leeuwen Pipe and Tube Group had to pay extra attention to retaining and recruiting employees. The dedication, enthusiasm and expertise of our employees are key elements to the companys success. Much attention is devoted to maintaining strong and long-lasting relationships with international manufacturers of tube materials. Thanks to solid contacts with traditional and relatively new suppliers, the Van Leeuwen Pipe and Tube Group is always able to offer its customers the required service. In 2007, a growing number of customers recognized the strength of the Groups supplier relationships. The continuing strong demand around the world for raw materials, energy sources and transport capacity appears to be pushing up demand for steel and tubes even further. As a result the Van Leeuwen Pipe and Tube Group expects that prices will continue to rise in the first half of 2008. The availability of some products may even become a problem. It is difficult to predict whether this development will continue throughout the year. One of the decisive factors in 2008 will once again be the movement of the oil price. The Van Leeuwen Pipe and Tube Group will achieve growth organically as well as through acquisitions. It will refine its strategy further with regard to the regions, markets and products in which it seeks to expand. The Van Leeuwen Pipe and Tube Group is an international trading company specializing in steel pipes, pipe components and valves. The company is active in virtually all industrial sectors. The company was founded in 1924. The Group currently has 37 locations throughout Europe, Asia, the Middle East and North America.